Cheap to run, energy efficient and good for the environment, Swimming Pool Heat Pumps are relatively easy to install, virtually maintenance free and are a terrific long term investment for your swimming pool! 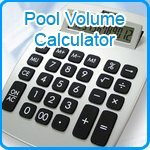 How do Swimming Pool Heat Pumps work? Heat Pumps draw outside air in through an evaporator which then collects the heat from the air and passes it through to a compressor. From here the hot air moves into a condenser through which the swimming pool water is pumped (and heated) on its way from the filter and back to the pool. Sounds complicated but they're a bit like an air conditioner in reverse. Incredibly cost and energy efficient, for every unit of electricity you use to run a Swimming Pool Heat Pump you get up to 5 units of heat put into your swimming pool. More expensive to buy than a regular electric heater, but cheaper to run. Apart from top of the range "all year round heat pumps" heat pumps typcally are only effective between April and September, having said that, its fair to say they work during the months you want them to work. For more information or advice regarding Swimming Pool Pumps, please feel free to give our helpful team a call on 0151 334 0222 Mon-Fri.